Often people speak about finding their inner voice as a means of directing their personal journeys and getting their vision or key messages across. This is certainly the case for Nomalanga Sitole, the South African entrepreneur behind The Voice Within, an event management company creating memorable eventing experiences for clients and attendees alike. LoA learned more about this event management company with a motivational difference. The Voice Within is the business vehicle I use to harness my 20 years experience in the field of Public Speaking (MC / Facilitator/ TV Presenter), and also my 8 years of specialist marketing, events coordination and management and promotions experience whilst I was still working in the corporate world. Today my company offers both my own personal skills to clients, together with a portfolio of Corporate and Private Eventing services which include Event planning and Co-ordinating; Venue sourcing; Catering; Décor; Event Sound, Equipment, Audio Visual and Lighting; Facilitator Services; and Marketing. "At Nomalanga Events we strive to make each and every event a memorable one, whether being on centre stage or behind the scenes." February 2017 marks 20 years since I held my first microphone. At that point I had just finished my A-Levels and thought here is something exciting to do as a hobby. I was a co – presenter of a youth edutainment programme entitled Teen Scene. I did this for 4 years, and at some point I was made the anchor presenter. Along the way I got to MC various events around my hometown of Bulawayo. 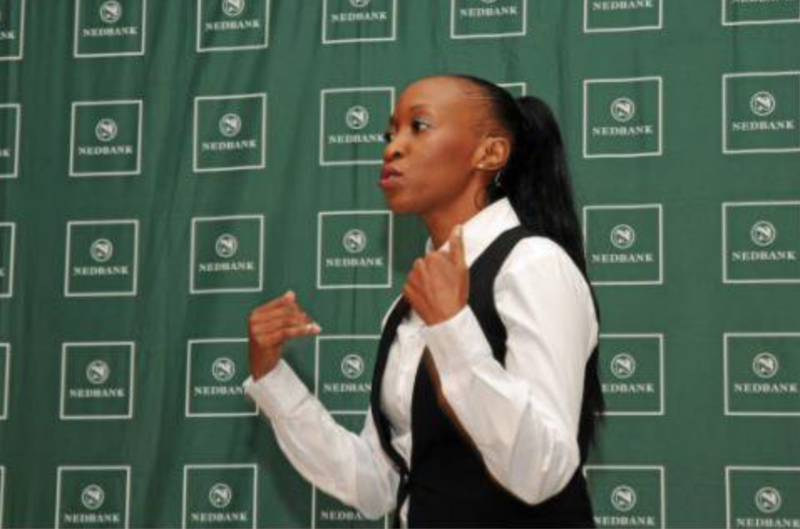 Fast forward to 2006 in Johannesburg – I realised I had a God given gift and started using it in the corporate environment, which was also my place of work – the Green Bank. I used to hide under counters in the Pick n Pay space advertising the Bank’s products until somebody discovered it was me – all along they thought it was a white lady speaking over the PA system. I carried on MCing events in and out of the business units I worked for in my marketing role and at some point I was allowed to charge for my services. Sometimes I wouldn’t get paid and I was okay with that, because this was something I loved and very passionate about. Why should anyone use your service or products? I believe in going the extra mile for my clients, as I strive to provide the best customized solutions available. I always engage with clients with great passion and enthusiasm, ensuring delivery keeping their best interests at heart, and adhering to their code of business practice. I am a real team player and I stand for Honesty and Integrity in everything I do. I believe in being totally honest and transparent in all my dealings with clients, business partners and strategic alliances. Finally, I am fully committed to my clients, partnerships and strategic alliances, and am passionate and purposeful in my execution of the services I offer. I have worked with experienced and well established Marketing and Events agencies and suppliers to execute various projects and client briefs. I am a fearless, outspoken young woman, gunning for the stars. My passion for the entertainment and events industry will make you take note of me. "The combination of "finding my voice within" and my passion for the events industry as a whole has led me to pursue my dream of sharing it with the world." In 2015 I felt the leading of God and I knew it was time to leave corporate employment – 10 and half years later. So in January 2015 I served my notice and in March 2015 I left a job I loved and could do in a blink of an eye, with everyone telling it was about time. I guess when you are a single woman with no dependents, it’s a much easier process to just take the leap of Faith , not knowing what, who, when, where and how - everything looks like it’s going to work out based on passion. I had registered my business in 2014, this being the second time and started working on my look and feel, my website and the basics of what one needs to start a business. Quite honestly 2015, my head was in the clouds, ‘’I AM A BUSINESS WOMAN’’, with no mentor, coach or business plan. I carried on doing MC work for my previous employer and strategic alliances. 2016 was a wakeup call, where I had to quickly learn that for the business to work I had go out and find it, market myself, detail and understand my target market and do work sometimes that won’t pay so as to put my brand out there . I got a coach who assisted me de-clutter my thoughts and put things into perspective. Marketing was and is still challenging– coming from a marketing role for many years, one would think it would be a piece of cake. The year brought with it challenges that made me wonder if I’d made the right decision and thought of going back to the security of a pay check every month, however I persevered. I’m still in the process of getting my brand out there and feeling much more at peace and confident I made the right decision. I continue to believe Impossible is Nothing – (Luke 1:37 / Muhammad Ali quote and Adidas Tag line). My business started off from my passion of holding the microphone and has expanded to working with networking companies, empowering other women and men who want to get into entrepreneurship or are already there, to executing end to end events coordination. I’m also volunteering for an online radio station twice a month, creating and presenting my own 2 hour show. In the short term my desire and purpose is to empower the next generation and to be known as “The Voice Within”, which encourages everyone to tell their story no matter where they come from and what it entails. That’s how we get stronger as individuals and as brands and one nugget of your story could fuel someone else’s dream. In the long term, I’d love to go back into the media space, presenting and producing television and radio shows and travelling the world as a purposeful woman, impacting others through my story. Inspiring people to look within themselves and encouraging them to do what they are passionate and purposeful about. I believe that whatever one does it’s important to seek to empower the current and the next generation, and I do this consistently through mywork and interactions.